The winter in Northern Cyprus is relatively cooler and rainy, particularaly between December and February, with 60% of the annual rainfall occuring in these months (although it is not unheard of for the sun to shine even in these months ). Snow may even fall on the Kyrenia Mountain range, but seldom elsewhere despite colder nightime temperatures. The short North Cyprus spring is characterised by more changeable weather, with occasional storms and the "meltem", or westerly wind. The rainy season in January & February, coupled with sunnier months in March and April can lead to more furtile ground and the landscape becomes very green and abundant. 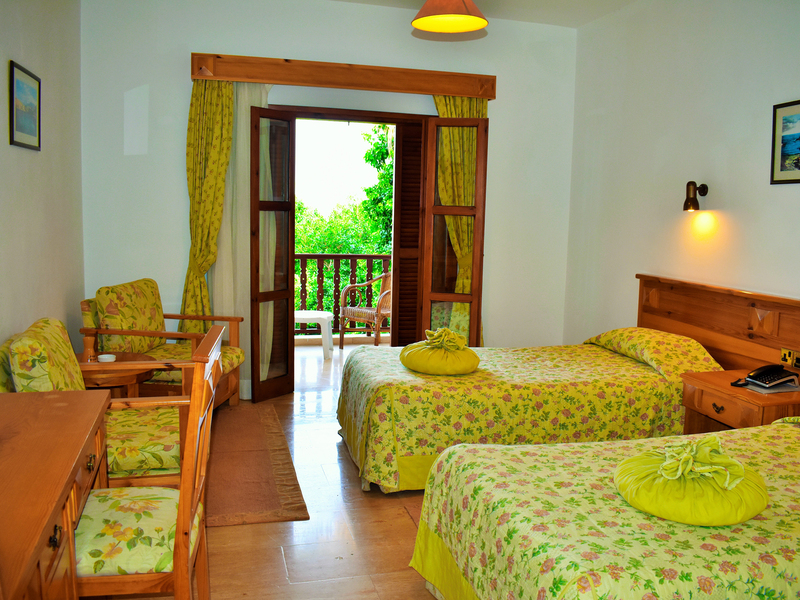 As a result, this period can be a very pleasant time to visit North Cyprus for a relaxing holiday. Summer can be extremely hot and is dry enough to turn low-lying parts of the island brown. Parts of the island experience the "Poyraz", a north-westerly wind, or the sirocco, a wind from Africa, which is dry and dusty. The north Cyprus hotels are very busy and summer days in Northern Cyprus are perfect for relaxing by the beach or swimming pool with temperatures reaching into the high 30’s and even 40’s in the height of summer (although it is recommended to seek shade especially in the middle of the day when the sun is at its hottest). 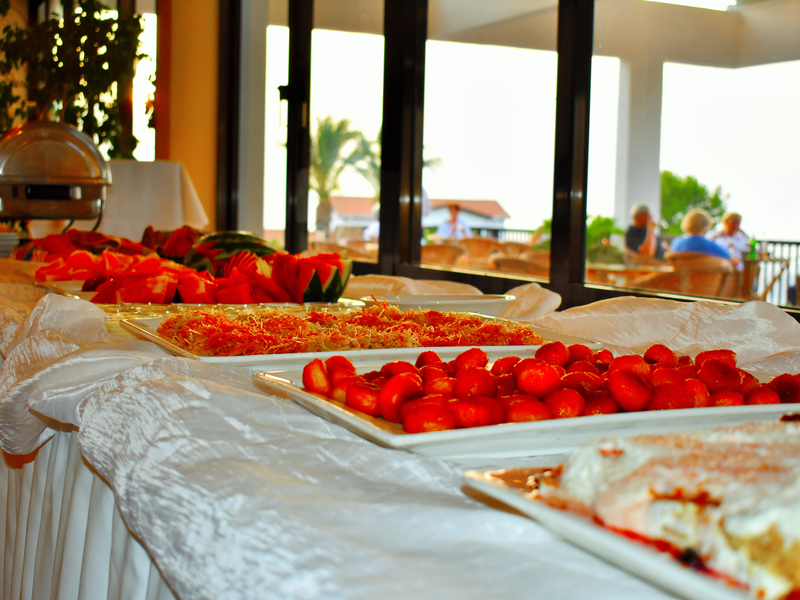 Evenings in the summer are very warm with often a sea breeze to accompany your dinner in Kyrenia. Septmber and October can be very pleasant months to visit Northern Cyprus, with temperatures cooling to the low to mid 30’s and perhaps occasional rain (mainly in October). 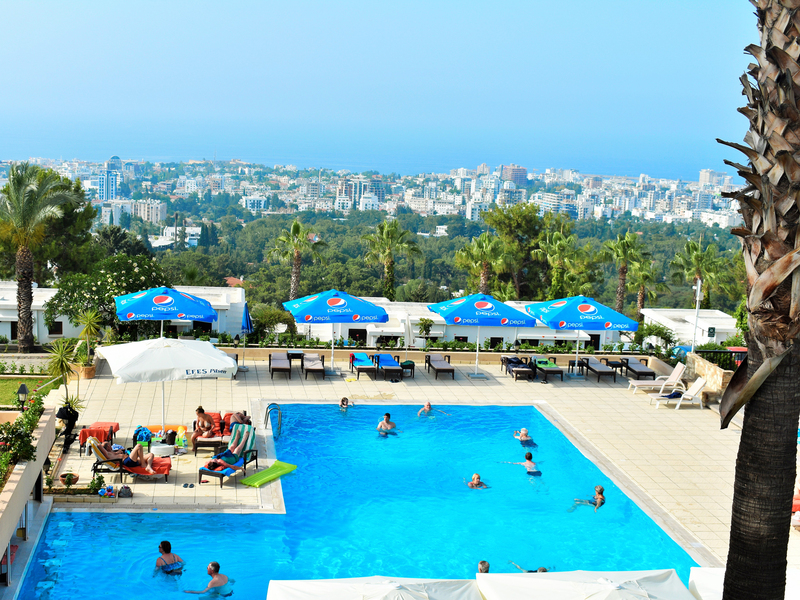 This can be the perfect time to head to Kyrenia and avoid the busier peak season of July & August, and still experience the beauty of the island in the sunshine while on your holiday in North Cyprus. Language is Turkish but English is widely understood. The beaches of Northern Cyprus are among the cleanest and safest in the Mediterranean. The average water temperature is 24C between May and October. 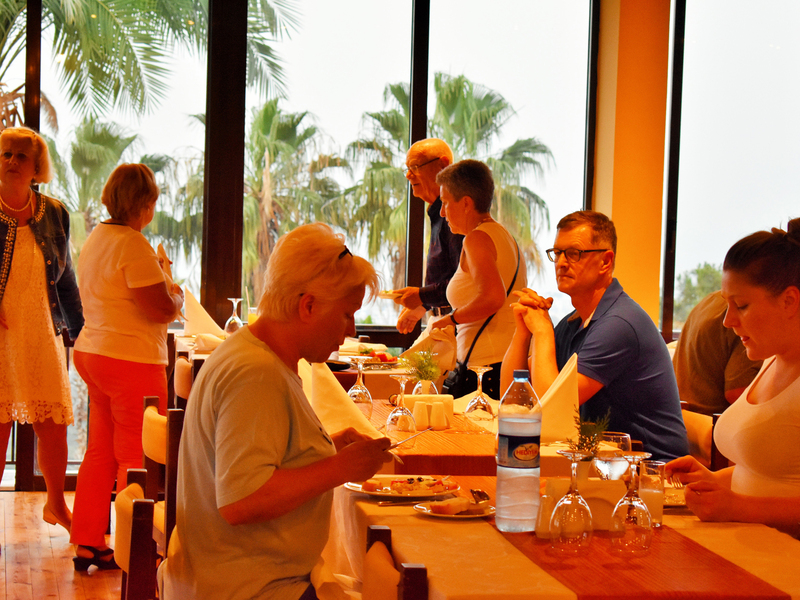 The summer season sees the Hotel Beaches offering an excellent service to its customers in terms of eating and drinking facilities, not failing to mention the provision of beach umbrellas and beach loungers. Some of these beaches will also offer activities such as water skiing, banana rides, jet-ski, wind surfing and scuba diving. Please drive on the left. Traffic and road signs are International. Maximum speed is 100km./hr. Vehicles entering Northern Cyprus must be insured upon arrival. Seat belts must be worn.. Drivers are prohibited to drive under the influence of alcohol. The limit is 50 mgr (As in Europe). The code for England is 00 44 followed by the local number but omitting the first number (0). From England the code is 00 90 392 followed by the local Cypriot number. Public telephone booths are available and telephone cards can be purchased from the Telecommunications Office. The outgoing postal system is reliable. Incoming mail must be suffixed "Mersin-10, Turkey" and not "Northern Cyprus". The history of the postal service in Northern Cyprus will definitely be of interest to all philatelists. 220/240 Volts A/. A standard three pin British plug is used. A good, inexpensive network of buses and mini-buses operates between all the main towns. Chinese and Indian Cuisine Restaurants. Prices vary accordingly. 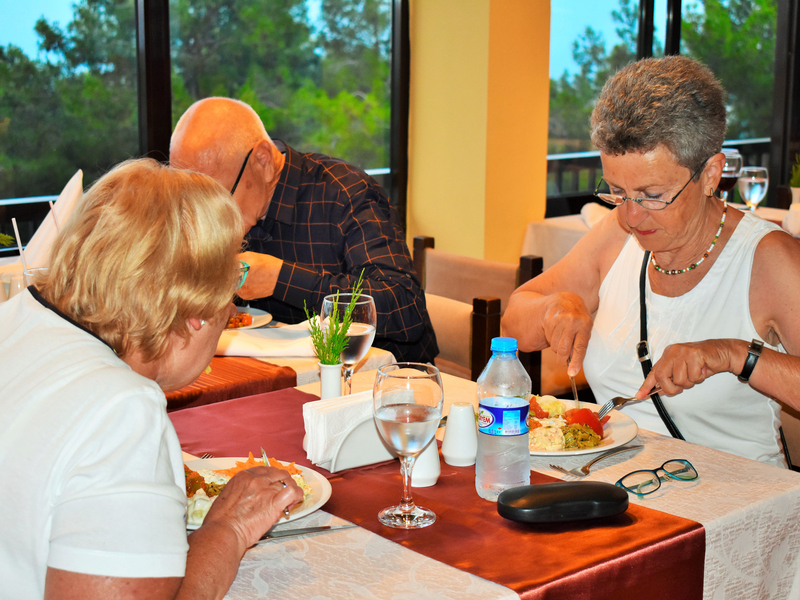 There are also a number of excellent Cypriot Cuisine Restaurants which offer very good value for money. 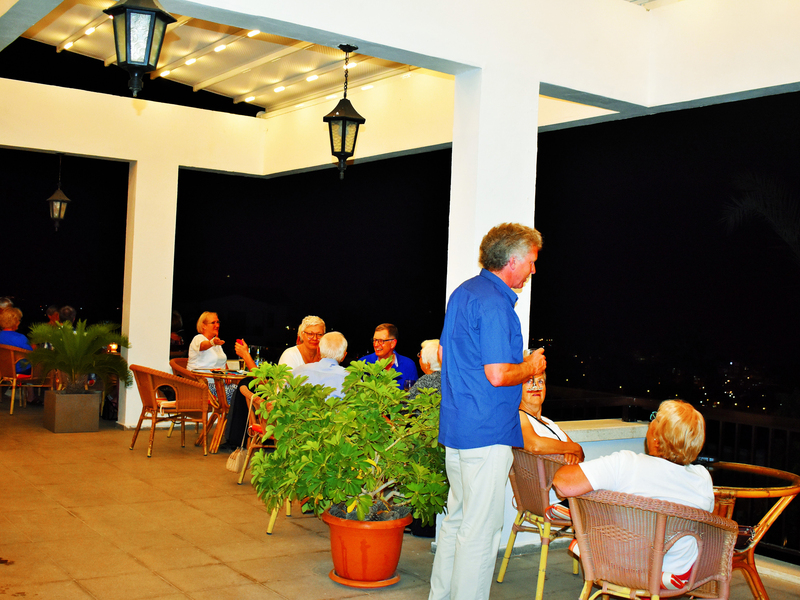 A wide range to suit all tastes, serving, local beers, raki and brandy and of course imported alcohol. Hotel Receptionists, Taxi drivers and the locals are also a good source of information. The Turkish Lira. Eurocheques, Travellers Cheques, Sterling, Dollars and other major currencies may be used or exchanged in the larger towns. NB. While no restrictions are placed on imports of foreign exchange, large amounts should be declared to customs upon entry. Up to $10,000 may be exported. St. Hilarion Castle commands stunning views over Kyrenia, situated on the Kyrenia mountain range. Its is the best preserved ruin of the 3 castles in the Kyrenia mountains, the others being Kantara and Buffavento. The castle has three divisions or wards. The lower and middle wards served economic purposes, while the upper ward housed the royal family. Visitors can climb to the top of the upper ward where they will find a viewing platform to experience the best views in North Cyprus. It is the perfect plkace to visit on your North Cyprus holiday At night, the castle is lit up and can be seen from Kyrenia, dominating the mountains. Kyrenia Castle dominates the old harbour and is the most completely preserved castle in Northern Cyprus. It is believed that the castle was built around 700 by the Byzantines (although there may have been a Roman structure before this) to protect Kyrenia and has since been occupied by the Lusignans, the Venetians, the Ottomans and the British. The castle is now a museum portraying the history of Kyrenia Castle and its various residents. Dusk in Northern Cyprus can be spectacular and you don't get a better view of the sun sliding into the sea than from the quayside in Girne (Kyrenia). Take a stroll along Kyrenia harbour in the evening and you can catch one of the best sunsets in the Mediterranean. North Cyprus is a place where the sun is shining for four seasons, and the Kyrenia’s coast is dotted with many beautiful golden sandy beaches to swim. Kyrenia beaches, many of which remain untouched, offer an enchanting atmosphere to visitors. 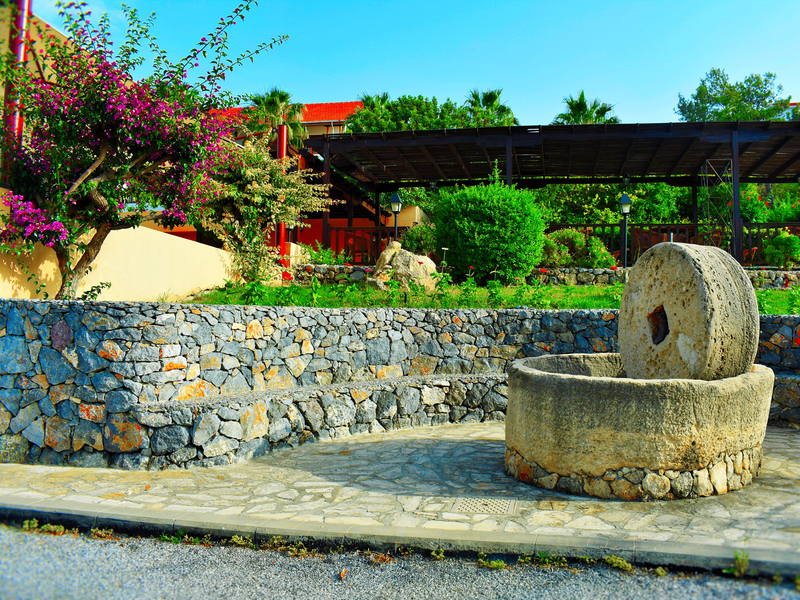 The Onar Village hotel in Kyrenia can provide information on local beaches. The Dervish Pasha Konak is so named after a former owner who published the first Turkish newspaper in Cyprus, titled Zaman or “Time”. The house is situated in the Arabahmet district, where there is continuing restoration work being carried out on the buildings that have been neglected over the years. In 1988 the Mansion was restored to its original state and is now a museum. This great Gothic building erected during the Lusignan period was to be the most important church on the island. The foundation stone was laid in 1209 but the church was never completed and in an unfinished state it was consecrated in 1326. The church/mosque retained its original name until 1954 when it was renamed Selimiye after the Sultan Selim II during whose reign the Ottomans conquered Cyprus. Hidden away in a wooded valley approximately 4 miles (6.5km) from the village of Esentepe is the 12th C church of Antiphonitis, (Christ of the Echo). It is not difficult to find, just follow the signs from Esentepe village centre, and the drive through the mountains is quite spectacular. The church used to be the centre of an influential monastery and was once the premier Byzantine monastry in the Kyrenia hills. 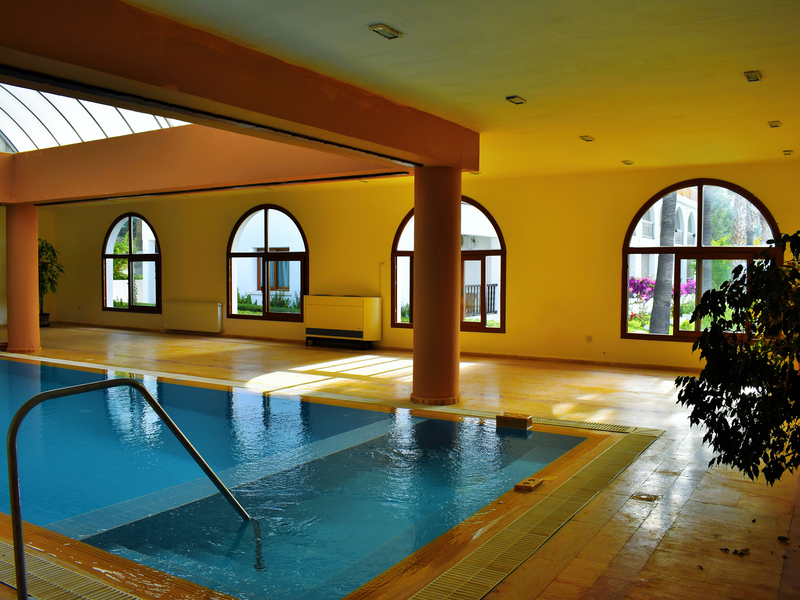 Activities in North Cyprus are dependent on the time of year and the associated temperatures. The two main seasons attracting visitors are spring for the abundance of wild flowers when the country is at its most enchanting and summer when the sea is as warm as bath water and the desire for sunshine and a rich tan are the main objectives for most of the country’s tourists. 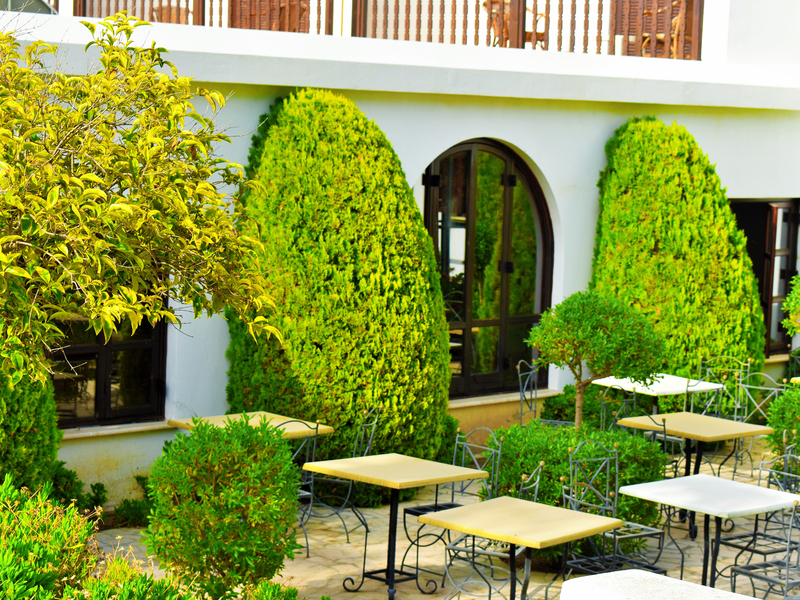 Howeverm, North Cyprus hotels welcome guests all year round and during the autumn and winter seasons there are still many things to encourage people to visit this beautiful land. Autumn is the season of many festivals. There are music festivals that range through every field of the art, from classical recitals at Bellapais to rhythm and blues in the Girne amfiteatro (Kyrenia open air theatre) and there are the festivals that celebrate the rich agricultural produce of Cyprus, most notably the carob and the olive. Many villages and towns will have open days and craft markets where the processing of the carob and olive crops are displayed to the public. Another popular autumn pursuit is mountain walking/hiking. Unlike walking in spring when the weather may carry the risk of rain, the end of summer brings the cooler weather but still warm sunny days. The oppressive humidity has passed leaving the daytime temperature ideal for exploring the hillsides with little chance of a storm. There are many trails signposted throughout the Kyrenia Mountain range and maps are available from the Tourist Information Office. Scuba Diving - The clear warm waters of the North Cyprus sea make it one of the best places in the world for scuba diving, there are beautiful coral reefs, rare turtles, octopus, variety of fishes and many other marine creatures to see in the waters. The marine reefs in the area provide a perfect cover to hide and see a close up of the marine creatures and you can even get to see ancient pottery and other shipwreck material in the sea, some of these date back to 300BC. Water Sports - Water sports are very popular in Northern Cyprus, people of Kyrenia enjoy a lot of water sports, some of these include water skiing, wind surfing, canoeing, power boating, mono-skiing, banana riding, knee boarding, wake boarding and jet-skiing. The beaches in Kyrenia provide excellent facilities for all water sports. Boat Trips - A number of boat trips leave the Kyrenia Harbour every day, these include trips to Escape beach in the west for a relaxed day of sun bathing. The trip to the east to Alagadi Beach is good for those who wish to go for scuba diving, picnics or even a quiet sunset dinner. The trip to the Escape Beach is good for those looking to relax, the calm, shallow waters provide a perfect place to swim, Alagadi Beach, on the other hand, not only has scuba diving, but also has a good picnic spot. Paragliding - Paragliding is another interesting activity in Kyrenia, imagine the view from a height of 2500 ft, Para gliders take off from above the town of Karaoglanoglu near to St. Hilarion Castle, the height is 2500 ft. The gliders along with their pilot can either choose a smooth glide or an exciting ride down towards the sea, the gentle float in the air gives a bird's eye view of the whole of North Cyprus. Sailing - Sailing is a popular activity in Kyrenia, the beautiful, calm waters of the sea make it safer for tourists to try their hand at sailing, you can choose to go sailing alone or take a person along. There are schools that provide proper guidance for sailing and give proper instructions and explain all the important points before sending you out to sail, they also provide you with the necessary equipment for sailing.